Which Savannah is Right for Me? This is where Savannah Cat breeders can post their new Savannah kittens that they have available for sale. 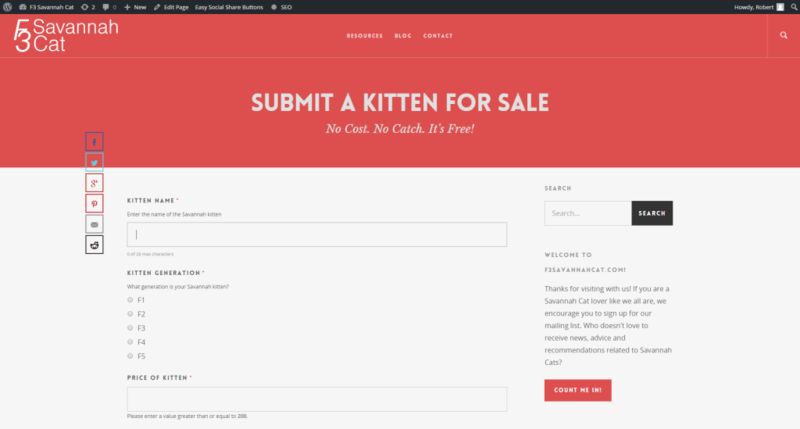 Everyone can view kittens from all the best breeders in one spot! Check back in the upcoming months for new kittens! Ready to look at available kittens? I'm ready! Let's do it. Get the latest news, tips, & recommendations straight to your inbox! Get all the latest tips, advice and resources on how to keep your Savannah as happy as ever! No thanks, I don't want my Savannah to be happy.